Please find below a listing of the various services I offer, starting with the most popular. I can also adapt a reading to your particular questions and concerns; my base-rate is $100 for an hour and $175 for two hours. Believe me when I say that no request is too strange – in my career I have been asked to advise on everything from demon possession to the natal charts of fictional characters. Please contact me directly about electionals because my price for those is variable, depending on the seriousness of the event and the scope of time I'm being asked to work with (an electional is when an astrologer elects a date and time for an important event like a wedding or business opening). I recommend the Evolution reading for all clients, particularly those who are new to astrology. In this reading, lasting about two hours, I provide you with an interpretation of your natal chart in relationship to your past-life story, which is revealed by the South Node of the Moon. The Evolution reading puts you in touch with your Soul purpose and life path, and also examines the lessons suggested by the karmic story. Because it is important to know WHO WE ARE before we can figure out where we're going, this reading does not include transits and progressions to the natal chart. The Evolution reading has no expiration date. The Fore and Aft reading (described below) makes a great follow-up to this essential reading, and covers current and future life events. For an alternative to the Evolution natal reading, and a concentration on mythology instead of past lives, see my Psyche’s Gift readings. In this reading I discuss the coming year’s transits and progressions (one year dated from the time of the appt. ), and may even project forward two years depending on the nature and intensity of events in your chart. The “aft” is important too, because I will also consider cycles that are just ending and what they signify. The emphasis is mostly on the slower-moving planets (Jupiter, Saturn, Uranus, Neptune, and Pluto) and on the slowly-developing progressions of the Sun and Moon. Because evolutionary astrologers do not make predictions, this future-oriented service asks you to meditate on the planetary energies that are mounting in the coming year, and on the choices you will make when confronted with them. Reading can be done by office visit, audio recording, or over the phone. We’re taught from the time we’re little that a romantic partner or spouse will satisfy one hundred percent of our wants and needs in this life. And yet, true “soul-mates” are the ones who encourage us to evolve by challenging, hurting, and disappointing us. Thus, the path to romantic love and partnership is not an easy one, yet we are compelled almost against our better judgment to continue to search for the “One” who will complete us. In the Love Potential reading, I will focus on what your chart says about your aptitude for love and relationship. Because astrology is a celebration of human diversity, I will not measure your chart against a one-size-fits-all standard of romantic love, but rather describe the type of partner and relationship that best serve the evolution of your Soul. Whether you’re looking for a blood-oath level of commitment or a more free-wheeling polyamory, astrology is helpful for putting you in touch with all those desires you may repress because they seem transgressive or – worse, too much to hope for. The Love Potential reading will also help you separate fantasy from reality in your idea of “perfect partnership,” and identify the self-defeating patterns that keep you from finding your bliss. Career path is as individual as your DNA. For this reading, I consider your life purpose as it is out-lined in the chart, your karmic “homework” as revealed by the Moon’s North Node, and lastly what that old task-master, Saturn, is doing in your chart. Saturn holds the blueprint for the Great Work you came here to accomplish, and so this reading is especially appropriate for those approaching their first Saturn return (ages 27-30). 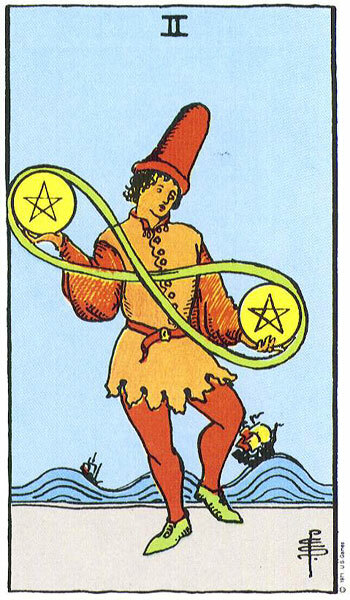 Today we tend to think of a career as a job or “the thing we do to make money,” and yet in astrology, income and career are not necessarily connected. For example, maybe both your Saturn in Cancer and Sun in the 4th house draw you into a career as a professional Mom, while your Libran North Node finds a lot of peace and healing in taking up painting as a hobby; whatever you do to make money is secondary to those character-building pursuits. Alternately, maybe you’re an Aries with a Gemini Midheaven, and you can’t decide whether to keep your high-powered Wall Street job, or go on tour with your band that just got national air-time. Your problem might not be money, but rather that classic Gemini one of needing to learn to mediate between the two faces of your career. This reading puts you in touch with the archetypal energies of the career gods in your natal chart, so that you will know how to maximize your strengths even in the face of changing times and changing needs within yourself. A couple’s reading can be a lovely way to honor a romantic relationship. First, I look at the natal charts of the two individuals to understand what each person expects from a love relationship. Then I perform a technique called synastry, in which I analyze the aspects one chart makes to another and vice versa. Synastric contacts are fascinating in the way they demonstrate the “chemistry” we experience with a romantic partner, and they can also suggest tools for handling the relationship’s rough spots. Finally, I will run a composite chart for the couple, which is an amalgam of the two individual charts. The composite chart is a window into the unique identity of the relationship, and also reveals the karmic history you share with your current partner. A basic principle of alchemy is that the individual identities of the elements being blended are sacrificed to the new creation, and the same is true of relationships; every relationship you have, whether with a friend, family member, or partner, nurtures different experiences and cultivates inner qualities you may only experience with that one person. The Alchemy reading can also be applied to family relationships (such as mother-child), business partnerships, and other long-term relationships; my general rule is that romantic partners need to have been in a committed relationship for at least six months before they can reap the benefits of the Alchemy reading. Many of my clients know that I have recently been conducting research into the planet Ceres, which was discovered in 1801 and granted “dwarf planet” status in 2006 (just like Pluto). This reading, which takes about 30-40 minutes, will concentrate on your optimal relationship to food by analyzing the placement of Ceres in your natal chart. Though as a culture we are constantly inundated with advertising promoting “super-foods” and ideal diets, the only truly ideal diet for anyone is the one that nurtures your unique physical make-up and individual metaphysical needs. Ceres, an ancient grain goddess, represents the mind-body connection in the natal chart, and also provides deep insight into your personal rhythm of self-care. This food tour of your natal chart will not offer you a regimented diet, but rather suggest categories (archetypes, if you will) of foods to explore, as well as styles of cooking, eating, and food preparation that best suit your body’s needs. Read more about the astrological Ceres here. Please note: at no point will I consider your weight as an indicator of your overall physical health unless you have a medical condition that is being monitored by a doctor. 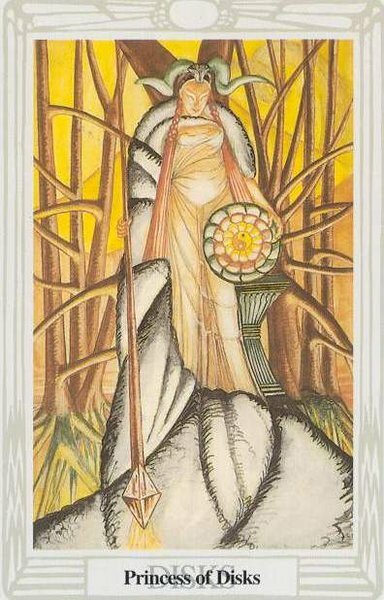 This reading is focused on bringing you into balance with your fundamental connection to the Earth through food, and not your sense of personal attractiveness. The Ceres reading must be conducted live or by phone because I ask that you participate in my research by answering a few questions about your eating habits and history. Astrologers are reluctant to admit this, but much of astrology’s hoary store of wisdom is a result of retrospection, and oftentimes more personal insight is gained from examining the past than from speculating about the future. For example, predicting to your client that “1999 is going to be a terrible year full of trial and pain” does not perform much of a healing or compassionate service. On the other hand, exploring the trauma of 1999 through the lens of astrology in the present moment can help the client to resolve old wounds by understanding the archetypal nature of the transits that brought about the traumatic event. What haunts you? All of us have suffered hurts and disappointment, but some of us remain wounded by the past and allow it to infect the present. This service will astrologically reconstruct a time period in your life which continues to cause pain, fear, confusion, or rage. No judgment is placed on the nature of the wounding event you wish to explore; sometimes mundane disappointments in love or career wound us more deeply than more spectacular and obvious tragedies. I can help you to release stuck feelings around old wounds by offering counsel on the karmic lesson behind the astrological event. Was your wound caused by a Saturn, Uranus, or Pluto event? These are all likely culprits, but even ethereal Neptune and benefic Jupiter can create some doozies. Are you haunted by a Chiron complex in your natal chart, or by difficult aspects to your South Node? Each archetypal pattern calls for a different type of healing method which I will explain. Reading can be done by office visit, audio recording, or over the phone; I may recommend a series of these focused appointments to clients with challenging configurations.